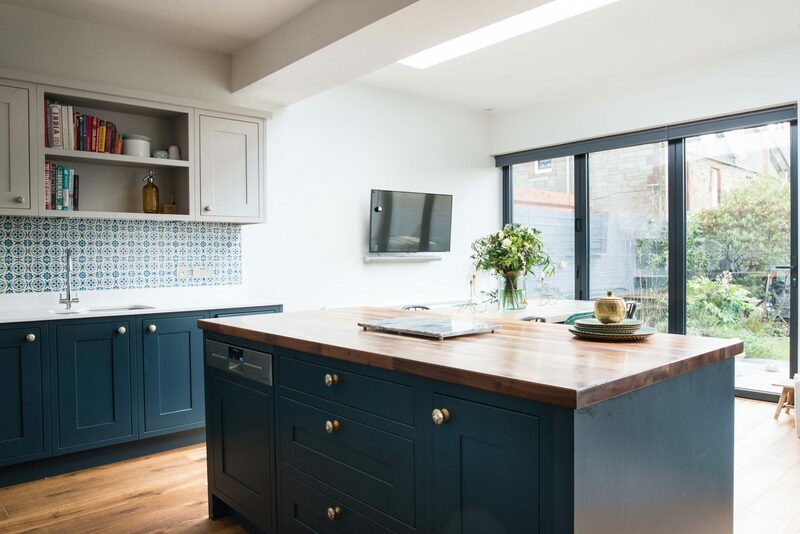 This open plan kitchen and living space was designed as part of a larger extension incorporating two further bathrooms. 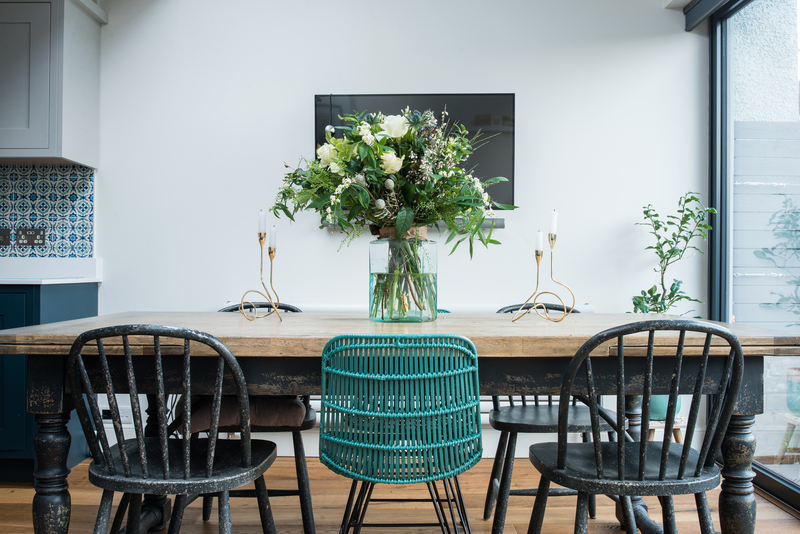 We worked closely with our clients to create a design with a sense of fun which reflected their tastes and personality. 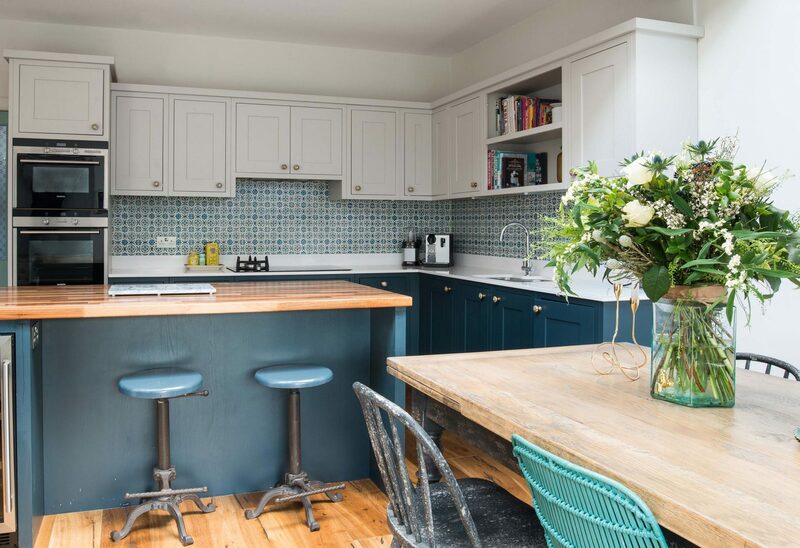 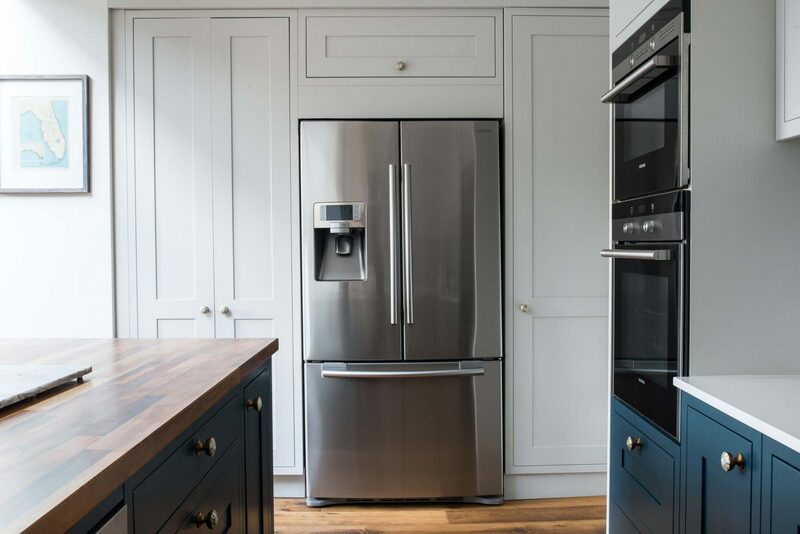 The kitchen units were painted in two different colours and quirky tiles were specified to personalise the classic kitchen style.